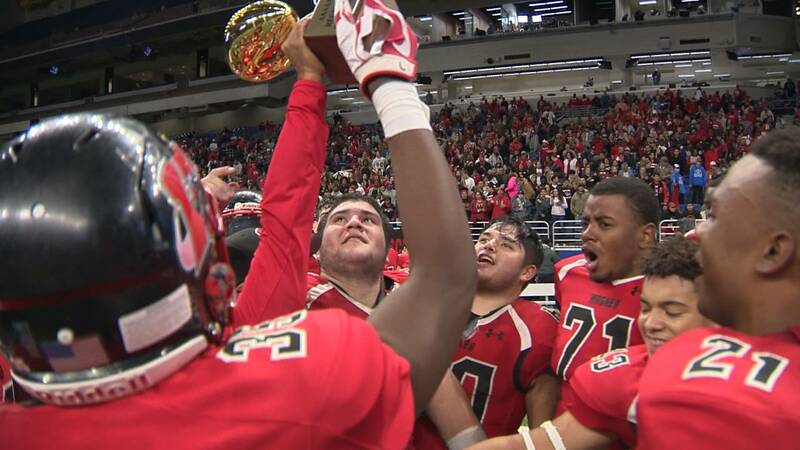 For the first time in program history, the Wagner Thunderbirds (13-1) have advanced to the state semifinals after beating Mission Veterans Memorial 54-21 in the Region IV Class 5A, Division 1 final Saturday at the Alamodome. It's a dream come true for the Thunderbirds. Wagner led 21-7 at halftime and kept the pedal to the metal in the third quarter, scoring 21 points to lead 42-21 after three. The Thunderbirds’ offense is a scoring machine, averaging 54.5 points per game this postseason. Defensively, they are allowing 14.75 points per game. They sacked Mission Vets quarterback Landry Gilpin five times and held the Patriots to their second-lowest output of the season. Winners of 12 straight games, Wagner will play Alvin Shadow Creek (14-0) in the Class 5A state semifinals. Kickoff is set for 2:00 p.m. Saturday at NRG Stadium in Houston.